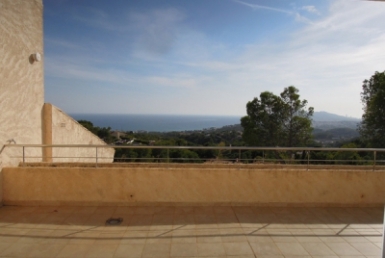 Beautiful and comfortable Apartment with spectacular views of the sea. Located in the Port of Campomanes where there are restaurants and pizzerias open all year. Perfectly decorated inside generating a pleasant atmosphere of intimacy and warmth with the correct interior temperature thanks to its SUR orientation. Kitchen furnished with all the Appliances, cold-hot AACC, etc. Complex with concierge all year and community pool. Surrounded by bays with warm water that will delight the baths in the sea. Its price includes a double garage space and a storage room in the same building. 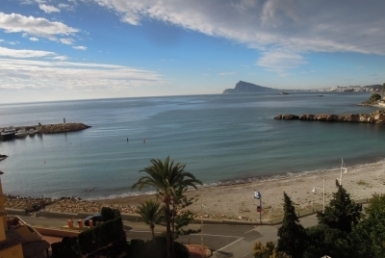 Strategic location, is just 2 km from the AP-7 motorway and 6 km from Altea and Calpe..
ATRACTIVE APARTMENT LOCATED IN THE SKIRTS OF THE SIERRA DE BERNIA SURROUNDED BY PINES TREES. 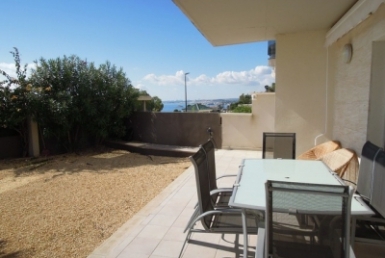 ENVIABLE 2 BEDROOMS APARTMENT SEAFRONT LOCATED IN A FULL EXPANSION AREA.